Aizawl, Feb 23 : Schools across Mizoram will begin classes at 8 a.m. from the next academic session beginning April to avail daylight savings, an official said here Saturday. The classes used to earlier begin at 11 a.m.
“Starting classes from 8 a.m. in schools up to higher secondary level was decided at a cabinet meeting earlier this week. The meeting was chaired by the Chief Minister Lal Thanhawla,” a school education department official said. The Mizo Students Federation (MSF) greeted the government decision while Mizo Students Union opposed it arguing that it would be too early for young students and would disturb the daily activities of not only young students but also the entire society. The MSF in a statement expressed satisfaction over the government decision saying that the people in general and students in particular in Mizoram would wake up early and help avail daylight savings to perform both educational, sports, social, official and non-officials works. The day breaks early in the northeast region with the sun normally up at least an hour to 90 minutes ahead of other parts in India. There was a long pending demand in the northeast region to create a separate time zone to avail the scope of daylight savings. Mizoram has around 5,500 primary and higher secondary schools with about 306,000 students. 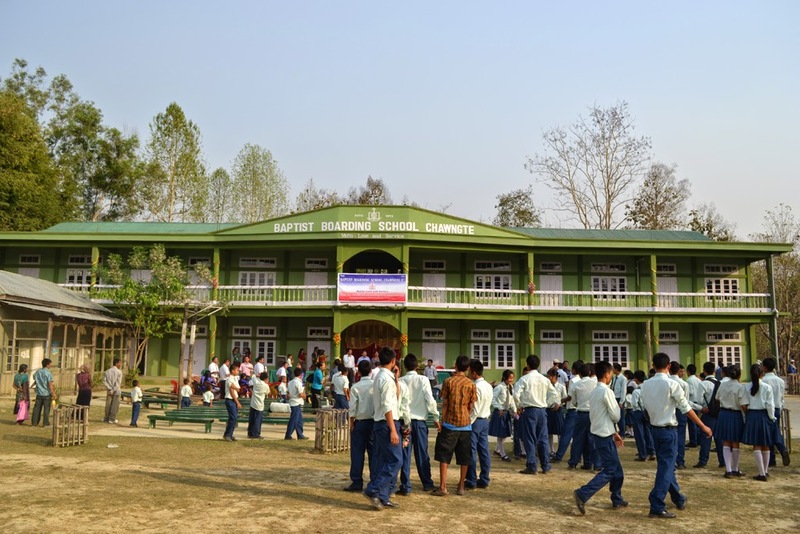 Even as the State Government Cabinet Meeting has approved the agenda of shifting school timing earlier than the present timing, Mizo Students’ Union has voiced its strong disapproval of the move for change in school timing, decided to be used from 2015–2016 School academic session. As per the state government decision, the schools across the state would begin at 8 a.m. and ends by 1 p.m., 2 p.m., and 3 p.m. for Primary, Middle, and Secondary and Higher Secondary Schools respectively. The students’ body comes up with a press statement in which it stated that it is quite regretful that the Mizoram government has brought an abrupt change in the school timing without carrying out comprehensive study and without proper preparation.It mentioned in its statement that the origin of the idea behind shifting of school timing is not for improvement in education but to ease traffic problem in Aizawl; the first meeting in this regard was held on 2012 September 24 by Co ordination committee on traffic management. “It is inappropriate that the people across Mizoram would suffer with the change in school timing just because of a move to ease traffic congestion in Aizawl. This is a big contempt of democracy”, MSU stated. It also quoted National Council of Educational Research and Training (NCERT) National Curriculum Framework 2005 Chapter 5 which says ‘…the timings of school day could be decided at school level, in consultation with local panchayat”. MSU also made the point that it would create big trouble in rural areas where students commute between their village and neighboring villages for schooling. It also said that the present school timing is suitable to the climate of Mizoram such that it can be used throughout the year without any need to change in summer and winter too. MSU also said that the state government making a decision in disrespect of the opinion of parents of the students and in spite of knowing the fact that it would not help improve Mizoram education but create trouble to each family, is subjugation and downgrading of the people who elected them to power. It pointed out that even the result of survey conducted by School Education department also shows that 85% of parents of students across the state want the present school timing, adding, this shows that not only MSU but the people of Mizoram want to follow the present school timing, asking the government to take note of it. Writing of its opinion, MSU said that the present school timing is good enough for the school children of today and in consideration of the present Mizo society and culture. Moreover, While in other states/countries, even for a little change in the system of education, an ‘expert committees’ are formed, bringing a change to school timing without comprehensive study and proper suggestions is really disheartening, MSU said.